It is said that dogs are a (wo)man’s best friend. The logic behind this sentiment is an obvious one to most dog owners—they are loyal, devoted, loving, dependable and typically cuddly. Who wouldn’t want a best friend with those qualities? But according to research, dogs can be much more than simply a trusting buddy. 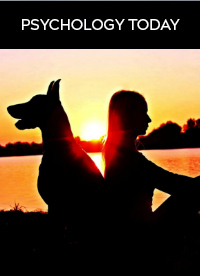 The evidence proving the physical benefits of living with a canine companion have been well documented, and vary from improved cardiovascular health and increased physical activity to lower cholesterol and decreased blood pressure. There’s no question that my dogs get me out to do more walking and hiking than I would otherwise, even on the days when I’d prefer to lounge in my pajamas or sip my coffee and read. But physical exercise aside, dogs add much more to our daily lives and science is catching on.